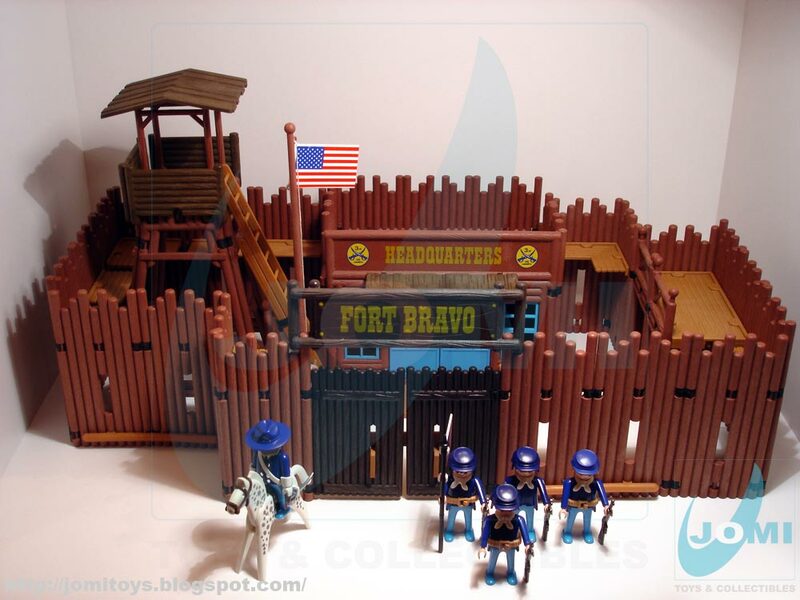 Not the first Playmobil cavalry fort, but certainly the most memorable one. Here presented in its 3rd release (1st with non movable hands, 2nd with/ movable hands), and finally the 3rd - With "new gen" figures (mustaches, general with belly and chrome buttons, holsters, etc). The building itself has the same architecture and included parts, a big wide palisade, a general quarters (which could be a trading post thanks to included sticker sheets), watch tower and raising flag mount. The plastic has the "fan award-winning" wood-like touch and heavy feel (actually is pretty heavy) and the expected Playmobil playability. 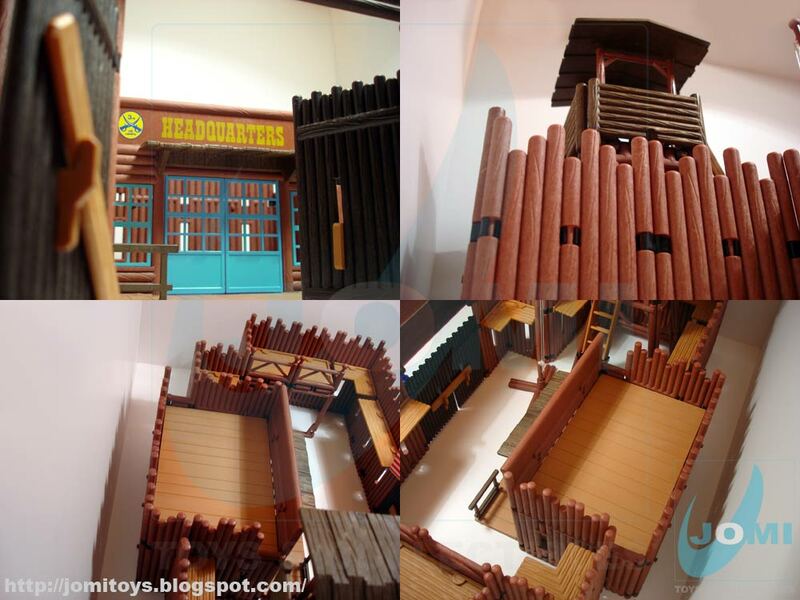 And just like the castle theme, this set can be infinitely extended. 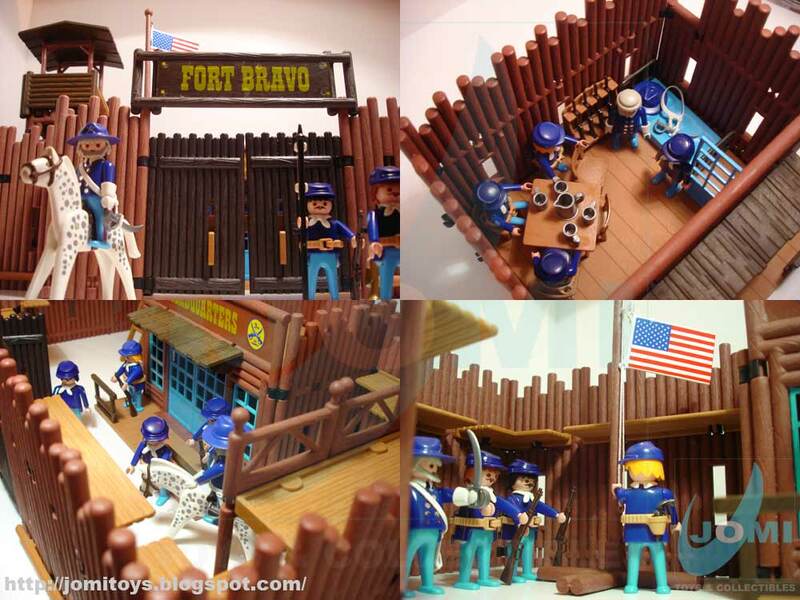 The basic included parts already make it a great and perfect Fort. 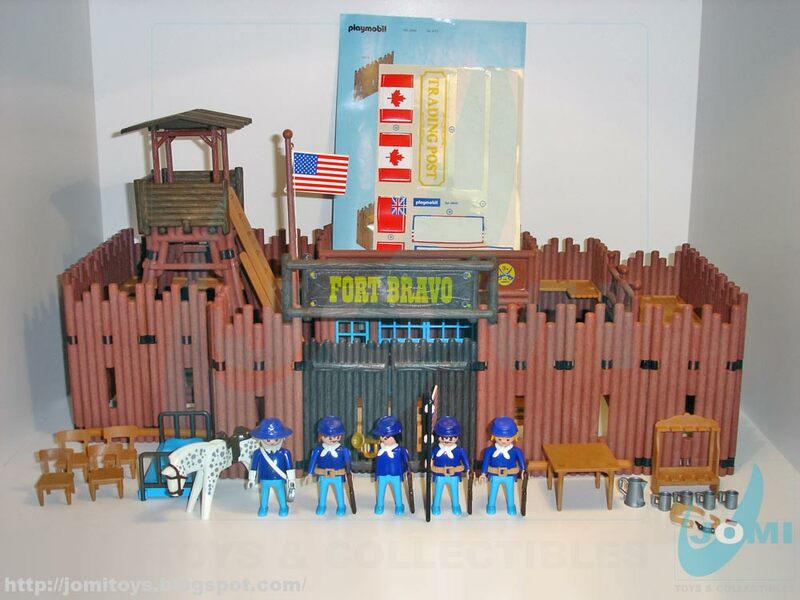 You get figures, horse, rifles, pistols, table, chairs, bunk bed, weapons rack, flags and more... the whole cavalry base camp. 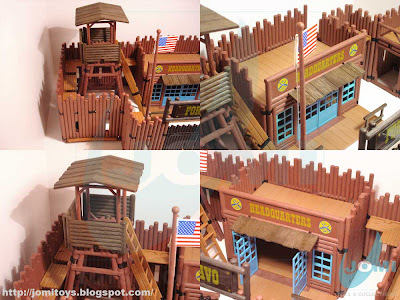 An absolute must if you´re a western theme fan. Can you imagine Indians without the Cavalry? I came across your site via searching for Playmobil Fort Bravo, do you know where I can buy it? This particular one was traded away, but usually, with a "little" luck, you may find it listed at auction sites.